• A systematic campaign of airstrikes against ISIS: Will include U.S. and allied forces, and include targets in Syria as well as Iraq; will support for Iraqi force advances. • Increased support to forces fighting ISIS on the ground: Another 475 U.S. military personnel to train Iraqi and Kurdish forces; training and equipment for Syrian opposition fighters. • Drawing on substantial U.S. counterterrorism capabilities to prevent ISIS attacks: Work with allies to cut off funding and support for ISIS, stem the flow of fighters to it. • Providing humanitarian assistance to innocent civilians displaced by ISIS: Specifically aiding threatened Shia and Sunni Muslims, displaced Christians and other religious minorities. 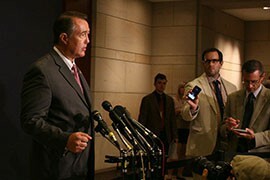 WASHINGTON – Arizona’s congressional delegation may disagree over exactly what the U.S. strategy toward ISIS should look like, but in a rare moment of bipartisan unity, members said Congress should have more input into the decision making. Sen. John McCain, R-Ariz., in a joint statement Wednesday evening with Sen. Lindsey Graham, R-S.C., said the president “described the correct goal – to degrade and ultimately destroy ISIS” and that the proposals “deserve bipartisan support.” But while the plan could degrade ISIS, they said, it “will likely be insufficient to destroy” the terrorist group. Rep. Ron Barber, D-Tucson, said the president probably has the authority he needs to combat the “savagery” of ISIS, whose fighters have beheaded journalists and have been accused of killing innocents. But, he said, Congress must still be involved. 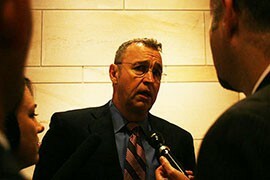 Rep. Matt Salmon, R-Mesa, said that if President Barack Obama wants a declaration of war for the fight against ISIS, he should come to Congress and ask for one. 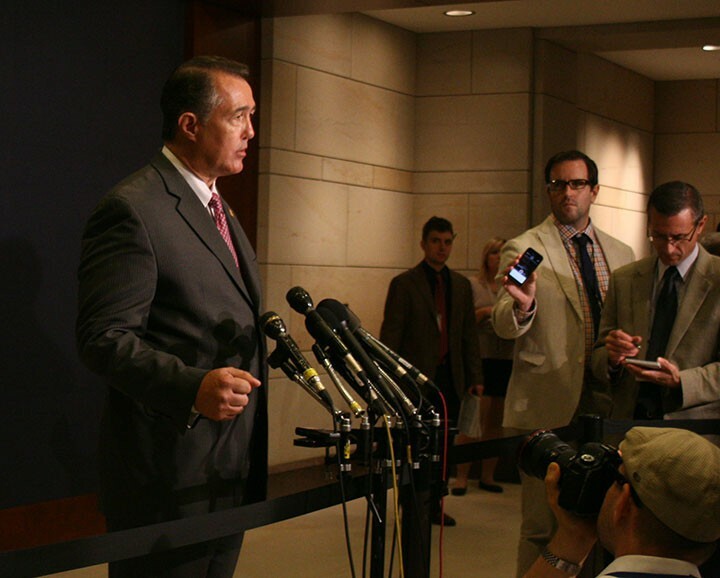 Rep. Trent Franks, R-Glendale,thinks President Barack Obama's plan to fight ISIS is "insufficient," but believes Congress will ultimately approve his request for military personnel to train fighters in the region.